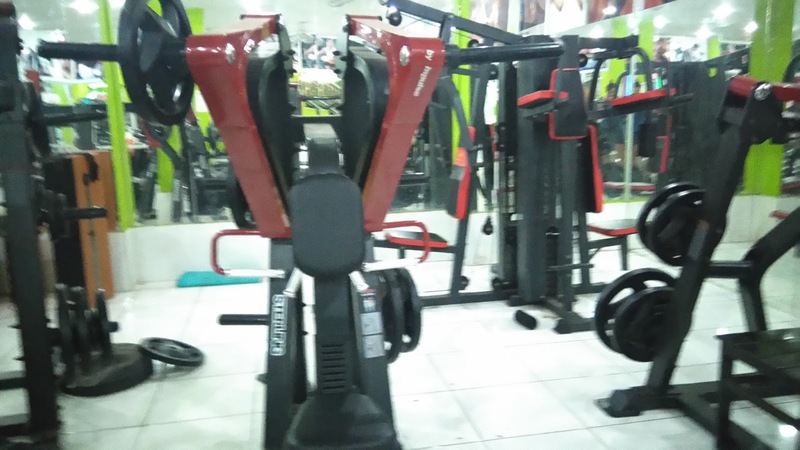 Review: One of the reasons that I started this blog was to highlight the weird and wonderful gyms that I find on my travels through south east Asia and it seems that Laos is going to help me focus on the weird once again. 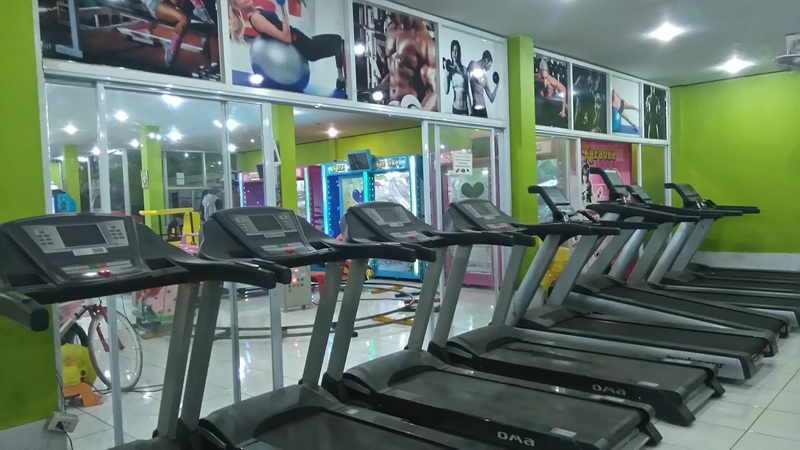 Sotsai Fitness is not on any map, nor could I find any trace of it on the internet, despite searching for ‘Gyms in Vientiane’ and ‘Fitness Vientiane’ I only found this gym because I walked past it on my way to the much better known, Tar’s Gym. The location for this gym is one of the weirdest that I have ever encountered on my travels, as it is hidden at the back of a kids amusement centre / arcade. The gym is set in a little glass box in the back right corner of a two story children’s entertainment centre. This means that when your training you get to look out and see kids running around and havin g fun which is kind of sweet. Odd, but still sweet. This is the view from one of the treadmills for example. The gym itself is strangely well equipped but training here is still pretty weird. Whilst I understand the logic of building a place from mothers to train whilst dad keeps the kids entertained, the choice of equipment left me baffled. 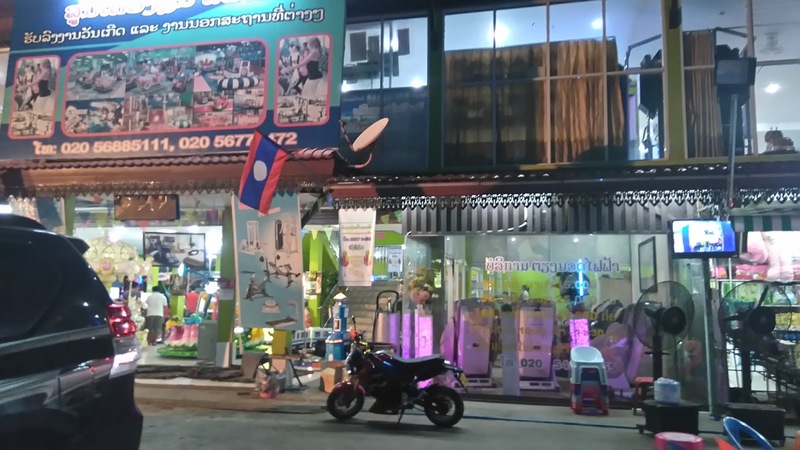 Why exactly do tiny Laotian women need 40kg dumbbells and Olympic bars? Another strange thing is that they have opted for a tiled floor, with no carpets or padding in sight. 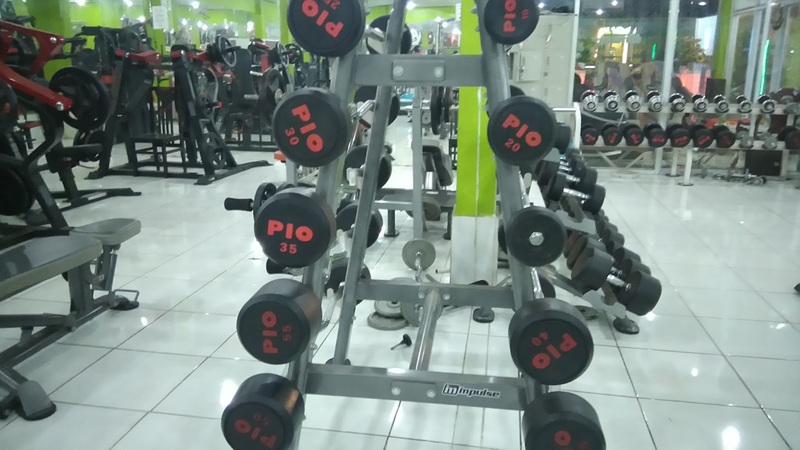 This makes deadlifting or dumbbell bench press a daunting task and you can see cracked tiles all over the floor from where people have obviously dropped the weights at some point. The gym does have small lockers and there is a little shop that you can buy water from just next door. There are no supplements on sale here, so you will need to bring your own protein shake for a post-workout protein hit. A day pass was 15000 Kip (approx £1.50), meaning that it is suitable for backpackers or those on a budget. Who is this gym for? 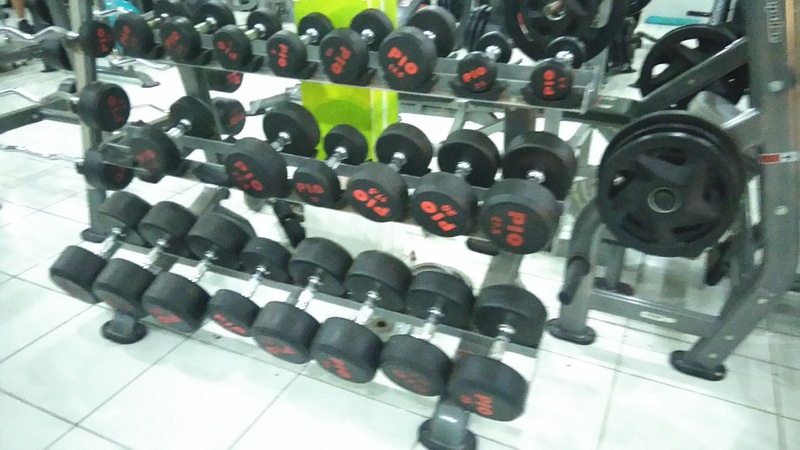 Whilst I was training here, I noticed that almost everyone who used this gym was female and local. Given there has been no trace of this gym on the internet, until now, perhaps this isn’t surprising. 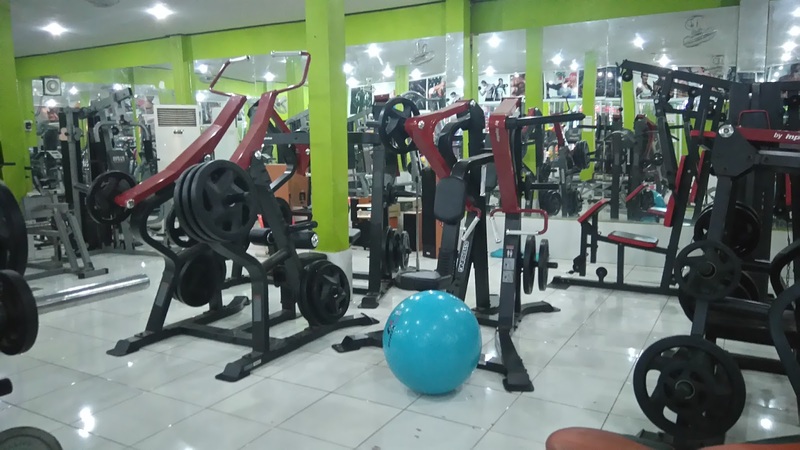 Finding a mainly female gym has been rare in Asia and whilst there is enough equipment here for all but the most elite lifters, I would probably only recommend this gym to women looking to train in a safe environment or to beginners. This is simply because Tar’s gym is close by and is slightly bigger and better equipped. You can read about that gym here. Tips: When you come in, you need to pay at the cash desk on other side of the play area. This is found on the far left, near the paint your own animals section. Where else would it be?